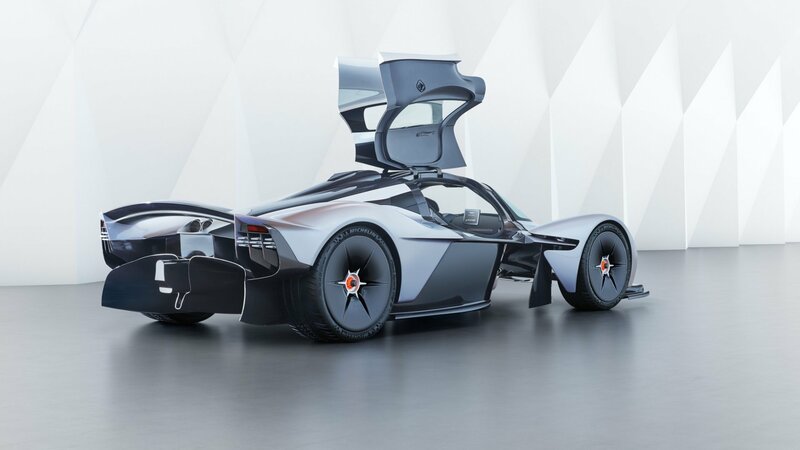 Since the first reveal of the Aston Martin Valkyrie hypercar in July 2016, Aston Martin and Red Bull Advanced Technologies have been working intensively to further develop the Valkyrie’s aerodynamics, body styling and cockpit packaging. 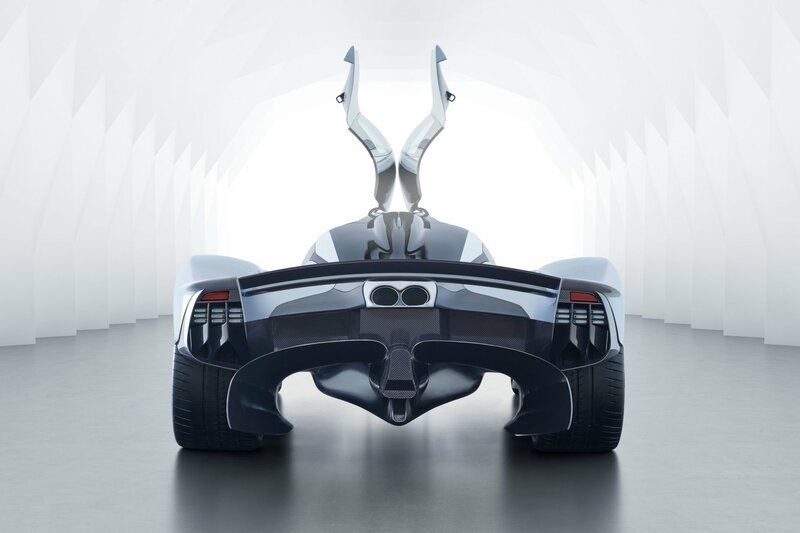 The teardrop-shaped cockpit’s upper body surfaces and lower tub contours follow the envelope of space available between the huge full length Venturi tunnels that run either side of the cockpit floor. 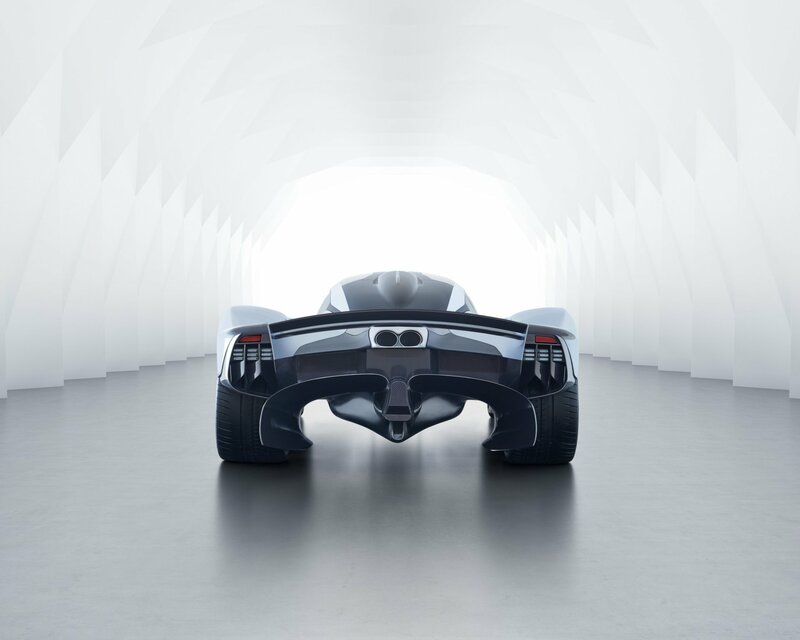 Drawing huge quantities of air beneath the car to feed the rear diffuser, these tunnels are the key to generating the Aston Martin Valkyrie’s extraordinary levels of downforce while keeping the upper body surfaces free from additional aerodynamic devices that would spoil the purity of the styling. To maximise interior space the seats are mounted directly to the tub, with occupants adopting a reclined ‘feet-up’ position reminiscent of today’s Formula One and Le Mans Prototype race cars, ensuring driver and passenger are extremely safe, perfectly supported and feel completely at one with the car. A four-point harness comes as standard, while an optional six-point harness will be offered for those who intend to do more track driving. 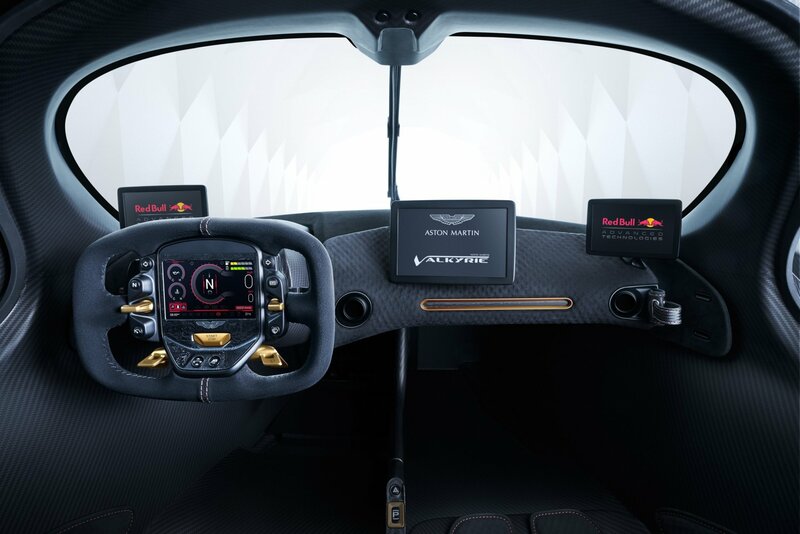 The Aston Martin Design team were keen to keep distractions to a minimum and focus the driver on the road ahead. To this end all switchgear is located on the steering wheel, with all the vital signs shown on a single OLED display screen. The steering wheel is also detachable, both to aid ingress and egress, and to serve as an additional security device. Great attention has been taken with the glasshouse design to ensure forward and peripheral side-to-side vision is virtually uninterrupted. 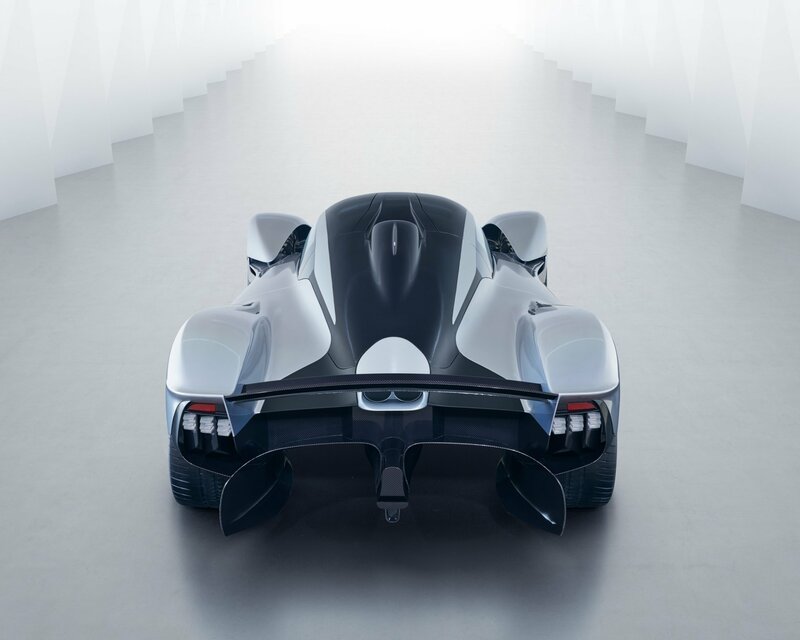 To avoid any unwanted aerodynamic disturbance or stylistic ‘clutter’ traditional door mirrors have been replaced by discreetly mounted rear facing cameras in each of the Aston Martin Valkyrie’s flanks. These feed two displays which are positioned at the base of each A-post to mimic the view provided by conventional door mirrors. The all-enveloping bodywork and roof-mounted engine air intake means there is no rear window, negating the requirement for a rearview mirror. 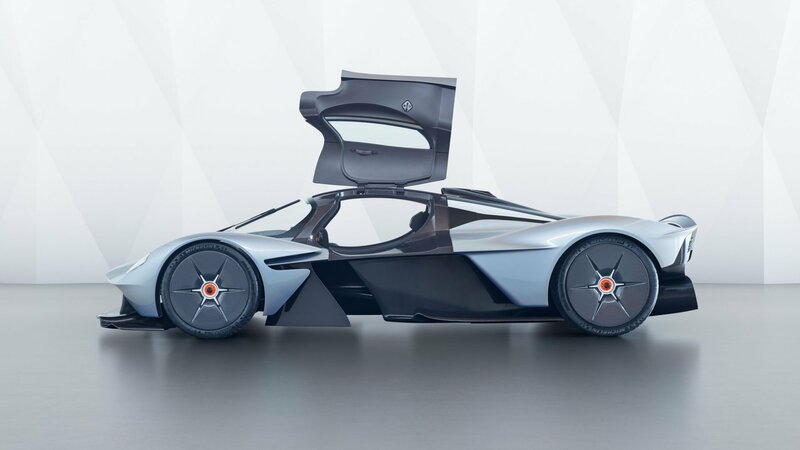 While the essence of the original Aston Martin Valkyrie exterior design remains unchanged, Adrian Newey’s pursuit of downforce and aerodynamic efficiency has driven many detail changes to the bodywork. 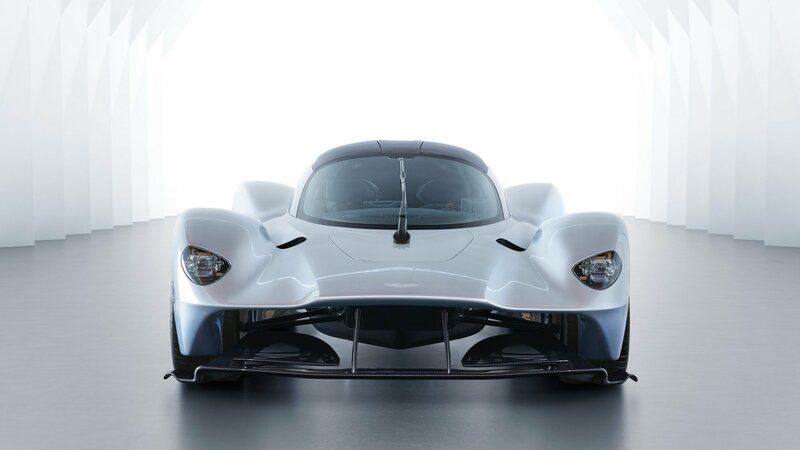 These requirements have been faithfully incorporated into the design by the Aston Martin Design Team in a genuine case of form following function. 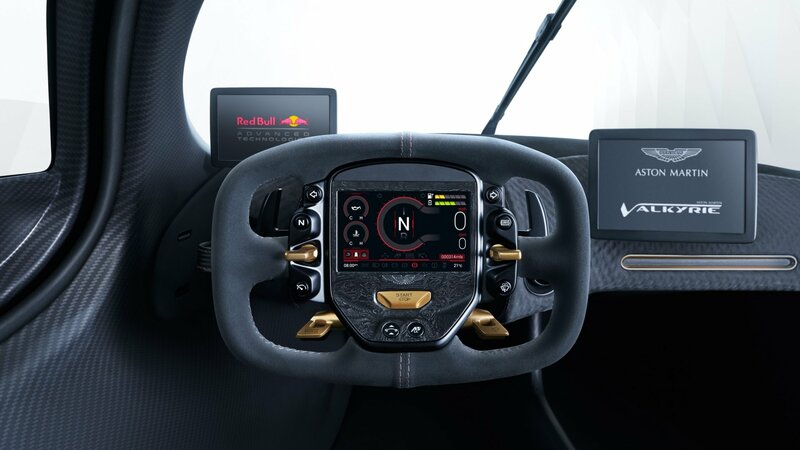 One of the biggest changes in this latest model are openings in the body surface between the cockpit and front wheel arches, Adrian Newey having found that they were the key to achieving considerable gains in front downforce. 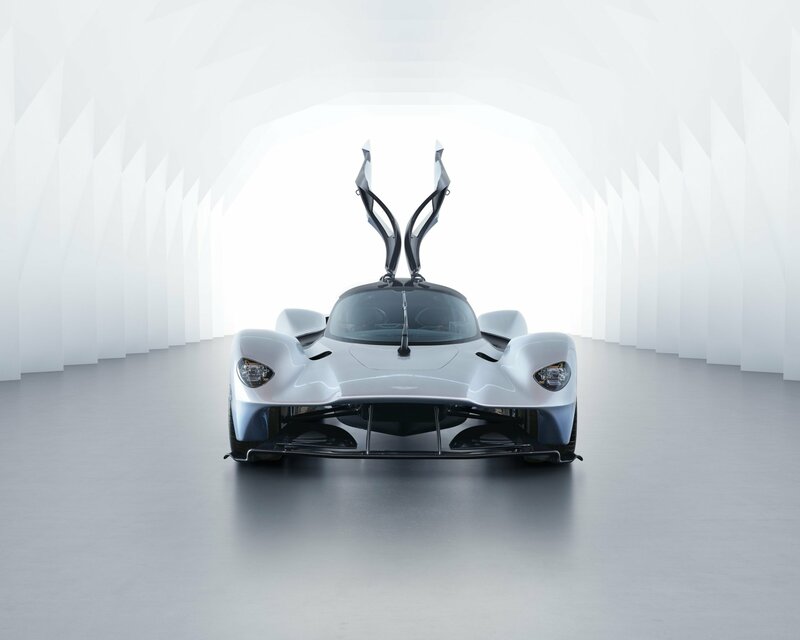 It was then the job of the Aston Martin Design Team to integrate these new apertures into the overall design and ensure they had aesthetic merit as well as aerodynamic function. 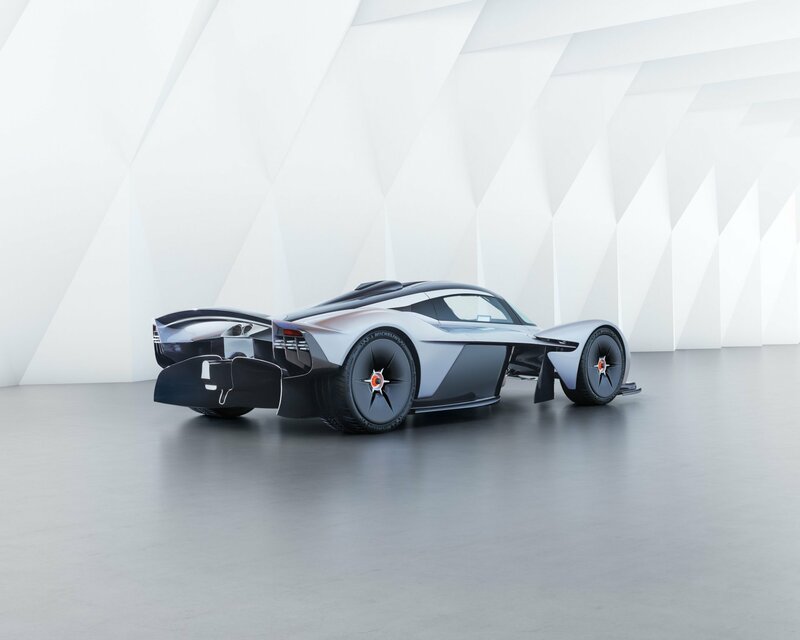 While aerodynamics and downforce are the dominant story, Aston Martin Valkyrie features some delightful details. Some of the most striking are the headlights, which take inspiration from the pure functionality of a Formula One car’s components. 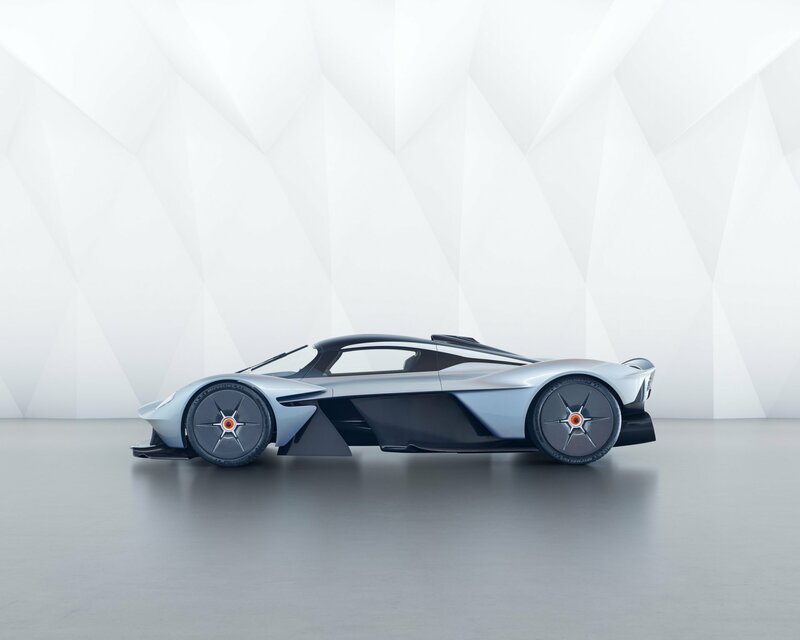 Aston Martin’s designers stripped things back to the bare essentials, celebrating the engineering rather than concealing it behind cladding. With the low and high beam elements attached to an intricate exposed anodised aluminium frame not only are the headlamp units a work of art, but they are 30-40 per cent lighter than the lightest series production headlamps available to Aston Martin. 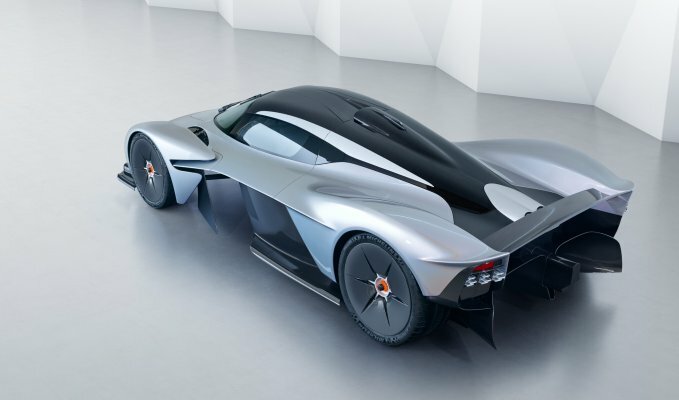 The same approach has been taken with the Aston Martin ‘wings’ badge that adorns the nose. 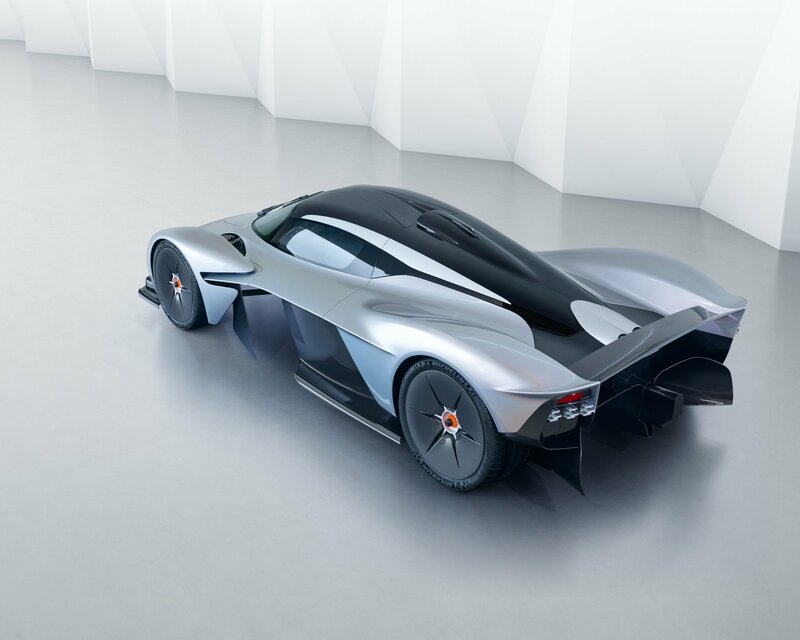 With the regular badge considered too heavy, and a simple sticker not befitting for a car of the Aston Martin Valkyrie’s quality and cutting-edge nature, the Aston Martin Design Team came up with a chemical etched aluminium badge just 70 microns thick. That’s 30 per cent thinner than a human hair, and a remarkable 99.4 per cent lighter than the regular enamel wings badge. The badge (nicknamed the ‘lacewing’) is then attached to the painted body and covered with a perfectly smooth coat of lacquer. Further detail innovation can be found at the rear of the car, with the centre high mounted stop light (CHMSL). 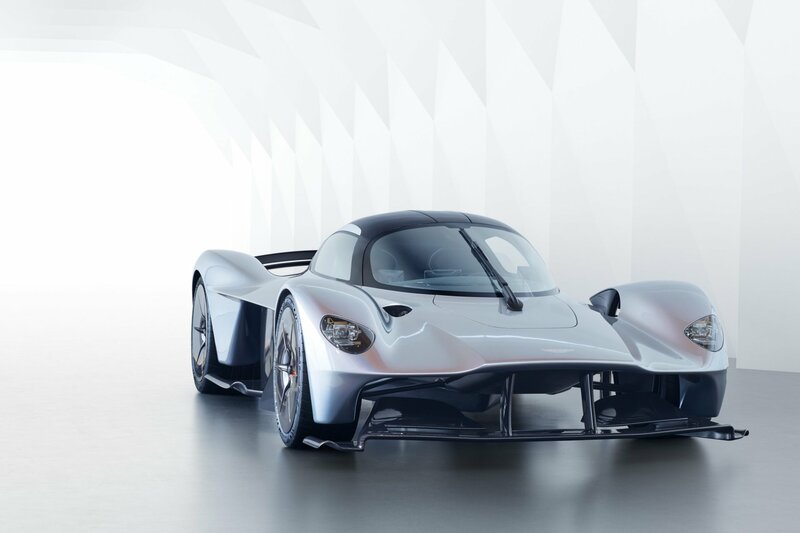 Mounted on the tip of the small shark’s fin that runs down the spine of the Aston Martin Valkyrie’s airbox and rear bodywork, the light is just 5.5mm wide and 9.5mm high. 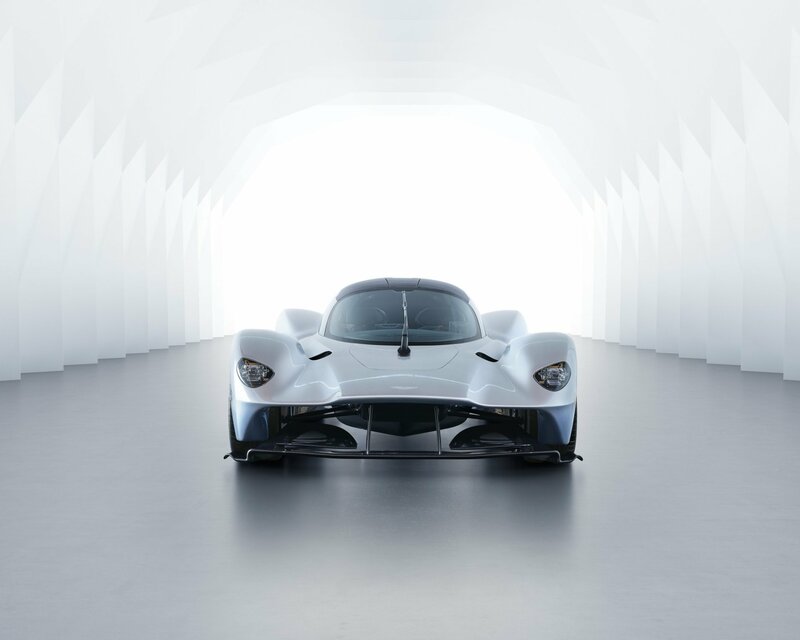 Illuminated by a red LED it is the world’s smallest CHMSL and evidence of how every element of the Aston Martin Valkyrie is scrutinised in the pursuit of eliminating unnecessary weight and drag.